During the 2017–2018 academic year, SMU’s Office of Information Technology will be providing access to the Microsoft Office Specialist Exam for free to current students and benefit-eligible staff and faculty meeting the parameters of the Microsoft Office Specialist Certification Pilot program. Certification exams will be taken on campus through IT Training on a first-come-first-served basis as a limited number of exam vouchers are available. Office Specialist Certifications include Access, Excel, Outlook, PowerPoint and Word. Expert level certifications are also available in Microsoft Excel and Word. Candidates may certify in one application or the entire suite. Prepare for the exam by utilizing online study resources and GMetrix practice exams. GMetrix practice exams will help you prepare for the Microsoft Office certification exams, including Access 2016 Core, Excel 2016 Core, Outlook 2016, Word 2016 Core, and more. These practice exams allow you to choose between training mode, which will allow you to view hints and retry missed questions, and testing mode, which will simulate actual testing conditions. As part of the pilot program, in order to be eligible to sit for the free Office 2016 certification exam, you must first score an 800 on a GMetrix practice exam in testing mode. This must be achieved no later than 24 hours before your exam. 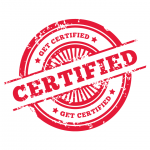 Take the actual certification exam at the on-campus testing location. Test candidate Exam Policies and information on Accommodation of Disabilities may be found at Certiport.com. If you are ready to get started, please visit smu.edu/mos. Learn how to secure practice materials and review our Microsoft Office Specialist Certification Pilot Frequently Asked Questions.